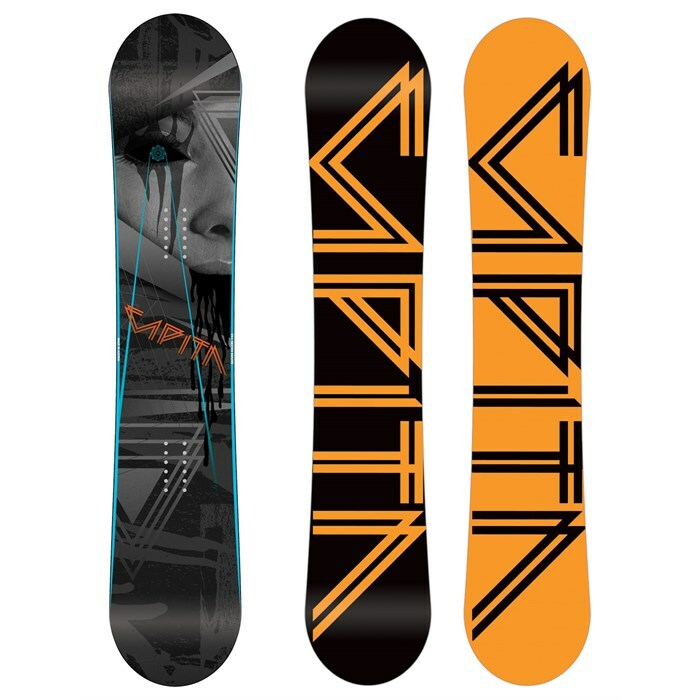 CAPiTA The Quiver Killer Snowboard 2011 – A directional cold-blooded killer, this all-mountain board shreds the groomers and the pow with unrivaled precision, faster than an arrow with a High Transparent Extruded base with the control and precision of a ninja with the SS SELECT core. The two-time winner of the Transworld Top 5 Good Wood award, this guided missile cruiser will leave those wide-eyed spectators in the dust. Flex rating: 7 (1 Soft – 10 Stiff) The CAPiTA The Quiver Killer Snowboard is a directional board designed for some all terrain assault with a flex rating of 7 for the rider who loves a stiffer flex for more pop and response. The SS SELECT core provides a perfect balance between energy and stability, the vertically laminated lightweight poplar having no irregularities or fingers joints for a consistent flex throughout the deck. The FORM 6 fiberglass configuration makes turn initiation easy while retaining the pop necessary to handle variable conditions, with carbon Kevlar stringers to further increase torsional rigidity and response. The High Transparent Extruded base in the CAPiTA The Quiver Killer Snowboard responds differently than the sintered base due to its lower molecular weight and means it’s the easiest to maintain and excels in park attacks and urban jibbing, promising easy repair and excellent performance. The CAPiTA The Quiver Killer Snowboard features 360 degree steel edges, meaning stronger, more durable edges for a long-lasting ride that’s completely in your control.